Freedom of religious belief is guaranteed under the constitution of the People's Republic of China, but the degree to which this freedom is able to be exercised remains a highly controversial issue. Much scholarly attention has been given to persecuted underground groups such as Falun, but one area that remains largely unexplored is the relationship between officially registered churches and the communist government. This study investigates the history of one such official church, Moore Memorial Church in Shanghai. The church was founded by American Methodist missionaries. By the time of the 1949 revolution, it was the largest Protestant church in East Asia, running seven-day-a-week programs. 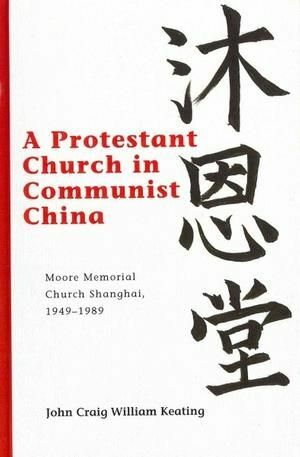 As a case study of one individual church, operating from an historical (rather than theological) perspective, this study examines the experience of people at the church against the backdrop of the turbulent politics of the Mao and Deng eras. It asks and seeks to answer questions such as: were the people at the church pleased to see the foreign missionaries leave? Were people forced to sign the so-called "Christian manifesto"? Once the church doors were closed in 1966, did worshipers go underground? Why was this particular church especially chosen to be the first re-opened in Shanghai in 1979? What explanations are there for its phenomenal growth since then? A considerable proportion of the data for this study is drawn from Chinese language sources, including interviews, personal correspondence, statistics, internal church documents and archives, many of which have never previously been published or accessed by foreign researchers. The main focus of this study is on the period 1949-1989, a period in which the church experienced many ups and downs, restrictions, and limitations. The Mao era, in particular, remains one of the least understood and seldom written about periods in the history of Christianity in China. This study therefore makes a significant contribution to our evolving understanding of the delicate balancing act between compromise, co-operation and compliance that categorized church-state relations in modern China.